I've been seeing a lot of feedback on the current collection releases by the popular brands like American Crafts, Crate Paper, Amy Tan, Pink Paislee and many more - some like the releases, some don't see much difference from previous releases and some are quite disappointed at the lack of variety, colour or image choices. I personally like very few of the new options, however nothing stands out to me to want to get all of the elements from those collections. So i was thinking - now is a perfect time to make some room in my stash for anything that might come along in the future and create own kit from previous collections and items i really love and breath some new life into them! Here is a list and some tips on how to create your own kit and a video of what i came up with for myself!! its easiest to start with papers, colours and elements will dictate on suitable additional items to supplement the kit. Ephemera - use ephemera from a specific collection, or leftovers from other collections that match in colour. You an also make your own using diecuts, punches or layering various elements together to create dimensional embellishments. The above should give you a wide variety of elements to use on your pages. 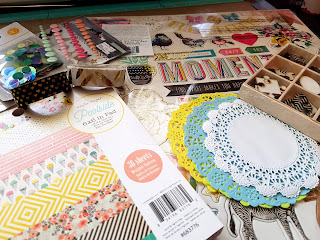 It is good to have less choices but everything coordinating, it will make scrapbooking flow quicker and easier. 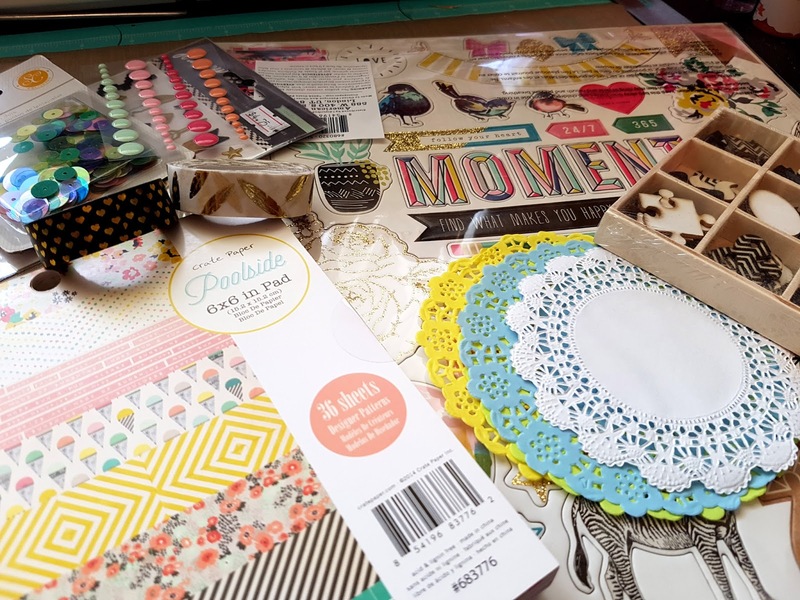 The above collection will create over 15 scrapbook pages and i'm sure there will be leftovers! Here is a video of my putting together my kit and thoughts behind it - enjoy! let me know if you have any questions.